Working with Skyline San Diego provides you with some of the best exhibit designers and structural engineers in the industry. Our graphic and structural designers magically bring your ideas to life. From logo design, brochures and flyers to large format graphics and signage, we can work directly with you or your agency to reveal the essence of your brand and deliver exactly the right message to your audience. Our designers don’t just create works of art—they design for the bottom line. 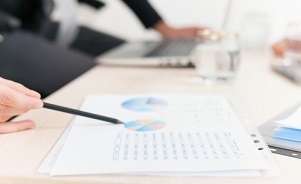 Our consultative approach to design increases traffic and delivers a return on your investment. Get real value from your trade show experience. Our designers take the time to learn about you and your business to define a clear, concise marketing message. From brand identity to an integrated marketing plan, your best image is our focus. Whether you have an established identity or are just starting out, our team of designers can step in at any stage to strengthen your brand, make a lasting impact at your event, and deliver measurable results. From tabletop displays, custom designed island exhibits, or simple accessories, Skyline San Diego offers a wide range of high-quality and innovative options at our San Diego location or at one of Skyline Exhibits’ national rental centers in Eagan (Minneapolis), Orlando, Las Vegas, Chicago, or Toronto. Whether you’re looking to rent or purchase, you’ll get the same superior level of design and service from Skyline San Diego. 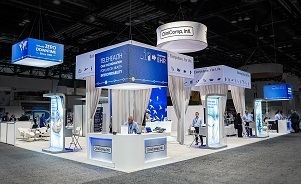 It takes more than a pretty booth to drive trade show success. Especially when you’re juggling multiple priorities. Skyline San Diego has 3 decades of industry experience and we can share it with you. Your Skyline San Diego representative can provide expert guidance throughout the entire trade show experience. We’ll help you with budgeting, structural design, floor plan, training, trade show selection, examination of rules and regulations, installation and dismantle coordination, shipping, and much more. Skyline provides a wealth of free training covering every aspect of trade show marketing, which you can access here. You can also call on Skyline San Diego to provide on-site training. 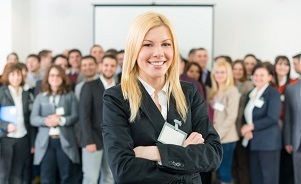 We can train you on the details of creating a more effective trade show program. We can also coach your booth staffers on how to generate more leads and be better brand ambassadors. For larger, more complex exhibits, Skyline has experienced Project Managers to orchestrate the entire process from concept and design to shipping and installation. 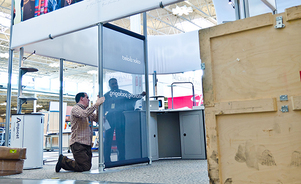 They work every step of the way to monitor all details and remove the headaches of trade show planning. 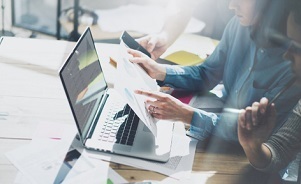 We can economically and efficiently get everything done right the first time, so you can focus on revenue-generating activities. Our expert, veteran installation and dismantle team will make sure your next show is a smooth one, whether it’s in San Diego, or Southern California, or anywhere around the country, and even the world. 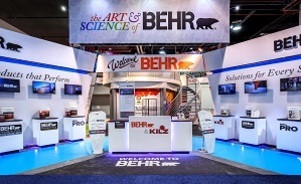 We are trained experts on the more than 20 Skyline exhibit systems, and more importantly, we know how to handle the unpredictable trade show floor. Our team includes members in good standing in the local labor unions. Whether you have a smaller portable display or a world-class showcase experience, Skyline San Diego can manage all your trade show assets so you don’t have to worry about a thing. 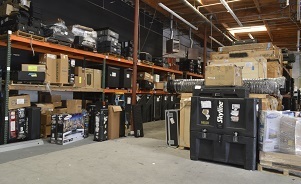 We’ll store and maintain your exhibit in our climate-controlled facility and ship it straight to your show. At any time, any day of the week, you can submit an order for shipping your exhibit assets with our Online Asset Management. 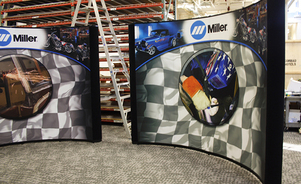 And, since it’s handled by our expert staff, your trade show display will always look its best. 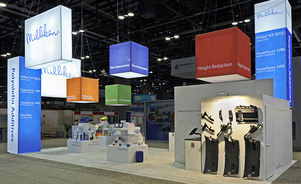 Skyline San Diego supports companies who make the environmentally conscious decision to reuse their trade show displays. From cost-effective lighting, shelving, racking and state-of-the-art A/V accessories to cleaning and repairs, we can renovate and refresh your old exhibit for cost-saving and eye-catching results. We’re always here for you. Anytime, anyplace, whatever the problem—we make it right. Whether your budget is big or small, Skyline San Diego knows that quality service is vital to your trade show success. Questions about how Skyline services can raise your trade show game? Please contact our service manager, Clark Eliot at celiot@skylinesandiego.com or 858-552-9033 x313. Drop us a line! We look forward to hearing from you. Fill in the contact form or reach us at the phone number, address or email below.